There are numerous instances where our Saint bestowed wealth to the poor, children to the sterile and health and happiness to the sufferers and diseased. The instances in his life are so numerous and varied that any attempt to catalogue them is well high impossible. Most of his actions were inscrutable and beyond the powers of comprehension. However, a few instances are furnished hereunder. He treated even animals and reptiles alike (seeing self in them). His attachment to cows was illimitable. “Go Puja” would be done on a grand scale. Feeding cows and attending on them was his daily routine. He would get expert veterinary aid from distant places too at times of need to the top of the hill at considerable cost. Snakes would surround him in plenty. As he would not harm them they would also move about like the members of a family. He used to give them milk and his routine included pouring milk in anthill (puRRukkup pāl vārttal). He published a book on Tiruppugazh Gopuja and performed Gopuja at Chennamalleswarar Temple, China Bazaar Road, under the presidency of Diwan Bahadur Kuppuswami Iyer, High Court Judge, Madras, when several scholars including Sri K.V. Jagannatha Iyer spoke on the occasion. Perhaps pleased with these praises, the gang thought of feeding our Swami. Hence they ran to a distance of about four miles, where another camp of Marwarees were cooking chapatis. These monkeys sprang on them unawares, got about a dozen chapatis, and carefully brought them and placed them before our Swamiyar. Our Swami was also pleased with this God-sent food and shared them with his hosts-monkeys. Those Marwarees chased the monkeys, and covering the entire distance, were astonished to find that the monkeys were feeding a sadhu. A child of one of his devotees who was ailing for some time breathed his last on the hill in the vicinity of our Swami. Swami was also seen to be in a mood and finally said that the child was with Lord Muruga in his peacock vāhanam. The father of the child who was naturally perturbed at that moment challenged the statement of Swami and wanted a proof of it. What a wonder! 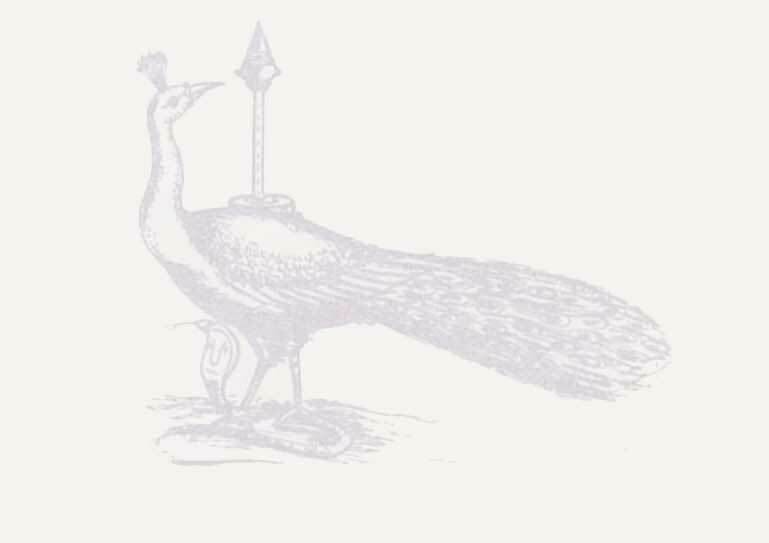 To the astonishment of all those close by, a peacock was found to be dancing with its feathers wide open. All were pleased and were gazing at the peacock, even forgetting the corpse of the child before them. Just in the same manner as God gave padikācu and wealth to Appar and Sambandar, our Swami also received silver coins from divine sources. Persons who were never seen before or after, used to come under peculiar or rather mysterious circumstances, and even before their identity could be thought of, or enquired into, they would have left the place after leaving silver coins. Is it not divinity? However, these facts were witnessed by many details of which appear in his life history. There were instances at Vayalur, Trichy District and Tiruvarur, Tanjore District, where on hottest mid-summer days, clouds gathered at our Swami’s behest and poured heavily, flooding the places with water to the astonishment of the people there. Profuse gift of knowledge - a rare phenomenon - was remarkably evident in our Swami. Thus, Swami asked his disciple Kandaswami Pillai to play on violin when he had not even touched that instrument. To the astonishment of even himself he was able to play on it with ease, playing different rāgas and different tunes in a moment. Several others who did not know, or cared for Tiruppugazh, were brought to its fold by force, and were initiated into this. Just as he learnt everything by arul without being taught, he would also retransmit the arul to others. During the great war in 1942 (the period of evacuation) people left the city in large numbers and the streets were almost deserted. It was at this time that several of his devotees requested our Swami to protect them and their properties. Swami acceded to this, and it was a wonder to see that Swami was physically seen wandering in the streets of Madras near the houses of devotees when he was actually away from Madras in distant places like Coimbatore and Vallimalai. During this time our Swami published Tiruppukal Parayana Gundu which was intended to be a guard against the ‘gundu’ (bomb) of Germany and Japan which the people then feared most. It was at this time in Calcutta that the house in which this parayana gundu was kept escaped the bomb while the adjacent house was a victim to the fall of a bomb. There was another great man Tirupapuliyur Gnaniar, a great learned scholar, the head of a mutt. Our Swami went to him just to get some meaning for a Tiruppugazh song. Gnaniar gave its contents in a worldly acceptable manner. But our Swamigal repudiated the meaning and said that it was entirely different. Gnaniar however, did not agree. Thereupon our Swami took the trouble of going to literary persons of repute and with facts and figures established his viewpoint and stand. Thereupon Gnaniar agreed and accepted the viewpoint put forward by our Swami saying that while Swami’s culture was based upon a culture not taught but purely inspired, the culture of others was limited to that which was taught and which was found in the books. Thus he also expressed that these arul jnānis have an inherent right to make some coinages of their own and prove them to the world as though they were in existence for a long time, just in the same way as Sri Krishna Paramatma covered the greatest Jyoti Sun and created Bodhāyana Amāvāsya. The height of his renunciation is evident from the following: No one would like to leave his place - and that a beautiful ashramam with cows and other possessions. There was peace and plenty. There were servants at his command. The climate was salubrious. Fine water was available throughout the year in plenty and devotees from all parts of India used to come and stay with him. It was indeed blissful to live in this Ashramam at that hill, which, as stated above, was built at a considerable sacrifice by himself. He suddenly discarded that too in 1948 and came to Madras. Even at Madras several of his devotees who were in very affluent circumstances wished to give him boarding and lodging. In fact some have even constructed separate quarters (Ashramam in the garden) solely to accommodate him. Swami did not care to accept that. He had his own peculiar ways most inexplicable and mysterious. Even at the advanced age of 80, with a rather flabby, unwieldy body, he would be found walking the busy thoroughfares of Madras, or getting into the ever overcrowded trains or buses with standing (rather hanging) passengers. When his devotees provided him with their cars or other conveyance he would not refuse them either. He also used to stay in costly air-conditioned rooms at the request of his devotees. Next moment it would be a sight to see our Swami sitting in his canvas chair close to, or almost touching the gutters in the streets, or squatting with poor harijans living in the pials in the streets. Thus it was abundantly clear that he treated both the extremes (luxury and poverty) alike. Some eccentricities in the name of bhakti are often perpetrated by some unscrupulous persons. During bhajanas or in congregations some would create all sorts of scenes as though possessed by some mighty force. Several of these avesams happen to be, on closer scrutiny, nothing short of sheer humbug calculated only to scare away the audience. Our Swami used to treat such cases in a highly ingenious fashion. Thus once at Salem a stalwart young man used to get Hanumar avesam during bhajanas. He would spring up in the midst and invariably fall in places where ladies gather. Our Swami noticed him during one of his bhajanas. As usual the Hanumar avesam was coming. Immediately our Swami, who was an athlete himself, sprang upon his neck in a second and sitting tight over him said that he (Swami) was Rama and commanded Hanuman to carry him for Ravana Samhāram. The Hanumar avesam was thus completely overpowered and became absolutely motionless however much he desired to extricate himself. From that moment the Hanumar avesam completely stopped away never to return in his life. This amusing incident highly impressed the people. There are yet some persons who practice some witchcraft and through their mantric ways are bent upon creating mischief or doing harm to their opponents. One such person, an adept in these vile ways, was present when our Swami was playing on his jati during Tiruppugazh Parāyanam. Our Swami’s handling the jati would be highly appreciated. The sorcerer who was also present in this congregation asked the Swami to play ‘‘once more”. Our Swami said “no more” and continued his parāyanam. Thereupon the mantrika felt his pride wounded and therefore began his mantram sorcery. In a few minutes the Swami’s hands were swelling and paining. Regardless of this handicap Swami continued his parāyanam for several hours more and when he returned to the place of his halt, he found that the mantrika who did the mischief was prostrating before Swami and begged for mercy, as from the moment he began his mischief on Swami, he felt his body burning. Our Swami also pardoned him on his promising never to practice that art on anybody henceforth. Several other pseudo swamiyars, who were also adepts in these mantric ways and who desired to embarrass our Swami and his devotees in bhajana congregations, were completely defeated and they unconditionally surrendered, details of which appear in his history. Another strange coincidence is deserving of special mention. Our Swami was much attached to Sri Ramana Bhagawan. The depth of their mutual love cannot be fathomed. When Sri Ramana was ailing, our Swami used to carry on special Tiruppugazh Parayanam for his sake. When Sri Ramana Bhagavan attained his Mahā Samādhi on 14.4.1950, our Swami was also almost physically lost at that identical hour thus. On 14.4.1950 our Swami and his disciple (Sri Krishna Iyer) were leaving Madras to Tiruvannamalai by night train. At about 8.45 p.m. when Sri Ramana attained kaivalya our Swami was crossing the railway line. Exactly at this moment a carriage which was loosely shunted was speedily coming on the rails, and had almost hit him. At that moment two stalwart persons, (who immediately disappeared) and Krishna Iyer forcibly extricated our Swami from the calamity. What a coincidence! There were several other instances where our Swami established the identity between Him and Ramana. During congregations and bhajans by about 1920, Swami used to rise in their air (obviously vayu sthambam) and continue his Tiruppugazh Parayanam. On several occasions, his discourses would be a severe admonition to evildoers, which often would be directly personal too, who would naturally feel ashamed and get corrected. At the time of arranging for one of his discourses, the organizers published his name in the pamphlets with the prefix “Tiruppugazh Chanda Marutham.” Swamiji was rather enraged to find this prefix and saying that some other “prachanda marutham’ and so forth were likely to come in, refused to attend this gathering. He finally yielded only when all the notices printed with this prefix were destroyed and fresh notices with the usual prefix of “Tiruppugazh Adiyar Tiruvadi Chenniar” was substituted and issued. When several gathered round him, each with his own different problems, our Swami used to satisfy everyone simultaneously and they would admire his ability in what they attributed as sat avadhānam. They would praise him saying that as he was one with God, he was omnipresent in everybody’s heart “niRaivu kuRaivaRa niRainthenkum niRkum onRupola irukkum porul”. Antarbahishcha tat sarva vyāpyam. Thus our Swamiji exhibited His Absolute Consciousness, which was psycho-centric awareness, and realisation of the Universal Soul which is beyond all objective appearances -- the Brahman. Every one is aware of the annual Tiruppugazh festival at Tiruttani on 31st December and 1st January of each year. Special trains are plying for this occasion and hundreds of Tiruppugazh sabhas join the congregation. Our Swamigal was solely responsible for initiating this festival, on observing how people then celebrated these days by garlanding their bosses (who then happened to be foreigners). He enjoined on the masses that they could garland and honour the Tanikai Dorai instead of their foreign dorais and doraisanis. He also exhorted that as almost all of us were in our daily life following the English calendar year, they could do abhishekam on the last day of the year to wash all the sins of the year, and commence the New Year by having His darsanam and receiving His blessings. This initiative is gaining popularity year after year. 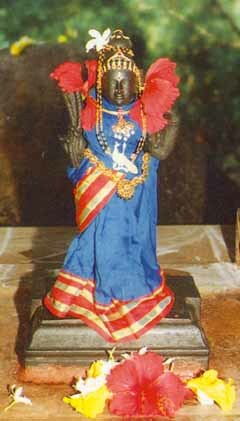 Tiruppugazh Mani Sri T.M. Krishnaswami Iyer (ex-Chief Justice of Travancore) who is regularly conducting his sweet Tiruppugazh bhajans and entertaining thousands during this festival very regularly, expressed during one of his lectures that our Swamigal was a Tiruppugazh siddha. As expounded by Tiruppugazh our Swamiyar was “velan vāytta Tiruppukazh kaRRavar seelamettiya siddhap prasiddhare”. He brought solace and happiness not only to countless aspiring souls but also dragged to his fold several others who were rebuking and ridiculing him. Just two days before be attained his mahā samādhi several persons observed a meteor (a big star-comet of large size) in the sky moving eastwards. This phenomenon, (what a pity none of his devotees were able to comprehend its significance earlier!) which was as inexplicable as many of his actions were, while indicating in unmistakable terms his oneness with divinity, obviously foretold the irreparable loss which humanity at large was to sustain. He has now passed into the realmless domain of immortality. He used to teach Tiruppugazh to whomsoever came to him - even though he be a criminal - even at the age of 80. He published another Tiruppugazh Parayanamurai just a month before he attained Videha Kaivalya. Another interesting factor is that though he had numerous devotees from the richest to the poorest who were all very willing - nay rather anxious to have our Swami at their houses, he preferred to be completely independent without of course wounding anybody’s feelings.